When you are marketing online, data is indispensable. Any step a good advertiser does when creating or optimizing adverts should be based on quality data. If you advertise on Facebook, the easiest way to move the data quality to next level is by using UTM codes. 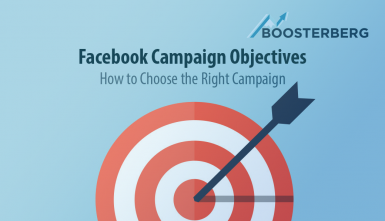 As long as the advertising process on Facebook is ongoing and mostly iterative process these tracking parameters helps you create, run, analyze, refine and run your campaigns again. Or you can split test and run multiple campaigns simultaneously. However you do it, using data improved by tracking parameters makes it more meaningful and more effective. If you are using Google Analytics reports on traffic from social networks like Facebook you found out there is no way to distinguish among visitors who click on links in your profile bio, your status updates, or your ads. Everything is merged under Facebook referrals. This is where tracking parameters came to help you. 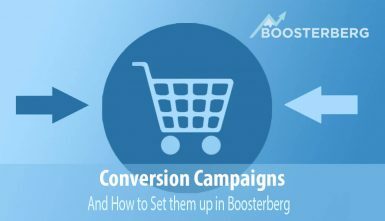 Imagine you are an advertiser and your task is to promote your client’s new blog post on Boosterberg.com through a banner ad on Facebook. Besides the banner campaign, you can also use other forms, for example a post on your business page with a click-through to the above-mentioned blog. If you don’t use UTM parameters, Google analytics doesn’t tell you the source of your blog´s visits and all will be included under Facebook referral. To correctly measure your marketing efforts, we’ll add tracking parameters to the URL, in our case with mandatory code components. UTM is short for Urchin Tracking Module, which is software acquired by Google in 2005, resulting in the creation of Google Analytics. UTM parameters are tags that you can add to URL you use. When somebody uses (clicks on) your link, these tags are sent back to Google Analytics and tracked. By using different UTM parameters for different placements, you are able to find out how much traffic comes from a particular Facebook post or FB Ad instead of Facebook referrals in general. After the campaign ended and was evaluated, we recorded, with the use of Google Analytics, 10 000 visitors from Facebook. 3000 visitors came thanks to a post on Page or other sources from Facebook. With the help of a tagged link, we are able to state that 7000 visitors came thanks to a paid banner ad. Therefore, we know exactly how many visits did the invested amount of money generate, which is crucial for evaluating its effectivity. Besides the mentioned mandatory parts, the UTM code can content also other parameters that are not mandatory. 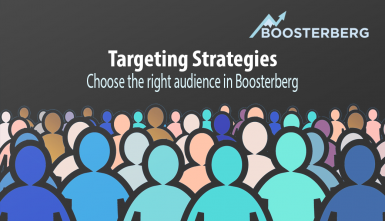 In case of targeting multiple different audiences in our campaign, we can make use of Campaign Term parameter. With its help, we can differentiate in Google Analytics which group of visitors is more important to us. If we want to test more texts or creatives in our campaign and to find the most effective, we can add the parameter Campaign Content and track the visit rate even closely. Campaign Source (required) – To identify the traffic source, such as Facebook, Twitter, Google etc. Campaign Medium (required) – To identify a medium like email, cost per click, etc. Campaign Name (required) – To identify your campaign, such as your website, a specific sale, etc. You can use URL Builder to build your tagged links easier. If you´re doing a campaign with UTM parameters, pay attention to their consistency. Don´t forget for example that Google Analytics distinguishes between small and capital letters, that is why for example utm_campaign=cpc and utm_campaign=CPC will be considered two different campaigns. When managing more ad campaigns, disciplined use of tags means faster and simple evaluating. UTM parameters can be a powerful way to track where your Facebook clicks are really coming from and which ones specifically are leading to qualified traffic and conversions.